"Gimme Danger" is screening in the Urban Institute for Contemporary Arts movie theater November 4-17, 2016. From the first time I heard The Stooges’ self-titled album, to the first viewing of Jim Jarmusch’s dry film, "Coffee and Cigarettes," I knew that Iggy Pop and Jim Jarmusch would have an indelible impact on my life. Iggy Pop and Jim Jarmusch are both staples in the entertainment industry and are known for pushing boundaries. Iggy’s on-stage antics like carving an “X” into his chest before performances, encouraging the audience to tear down fences at concerts, and using vacuum cleaners as instruments has made him a legend. Jarmusch, has taken a quieter approach to “boundary pushing” by rejecting commercial storytelling by focusing on social misfits while highlighting moments that other filmmakers might take for granted. "Gimme Danger" is crafted carefully and is well thought out. We get to experience life with Iggy Pop and The Stooges as if we’re part of the band. 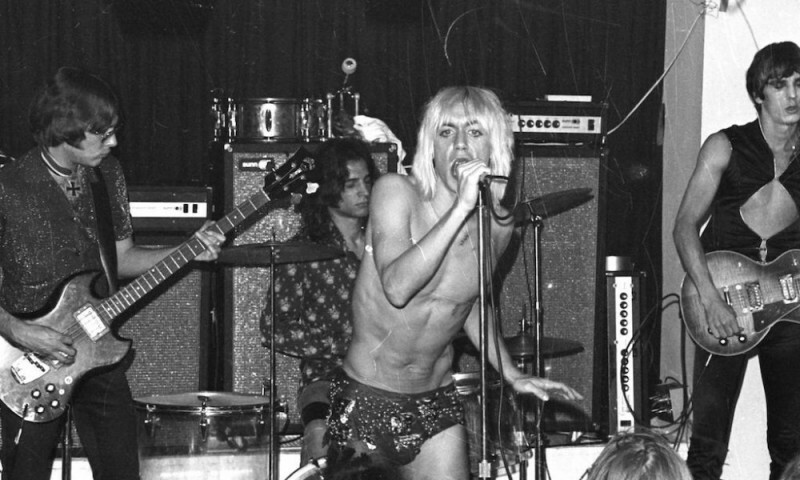 The film does not rely on archival footage and the audience is encouraged to use their imagination to better understand the context of The Stooges’ world. Emerging from Ann Arbor, Michigan amidst a counter cultural revolution, The Stooges’ powerful and aggressive style of rock-n-roll blew a crater in the musical landscape of the late 1960s. Assaulting audiences with a blend of rock, blues, R&B, and free jazz, the band planted the seeds for what would be called punk and alternative rock in the decades that followed. Jim Jarmusch’s new film "Gimme Danger" chronicles the story of The Stooges, one of the greatest rock-n-roll bands of all time. "Gimme Danger" presents the context of the Stooges emergence musically, culturally, politically, historically, and relates their adventures and misadventures while charting their inspirations and the reasons behind their initial commercial challenges, as well as their long-lasting legacy.